Hot on the heels of the announcement of Red Dead Redemption 2, American game company Rockstar has announced that GTA Online players will be getting several goodies this week in celebration of Halloween 2016. 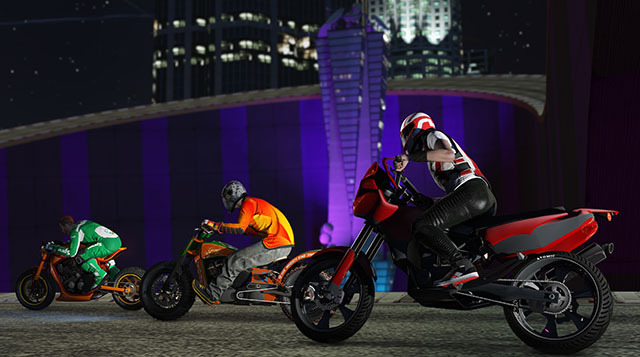 First is the spooky Sanctus bike, which features a front-mounted skull with glowing eyes and which will be available next Friday for all players. The Sanctus is undoubtedly a cool vehicle that looks like it will be a joy to ride in the game, but there’s even more in store for GTA Online fans this Halloween. 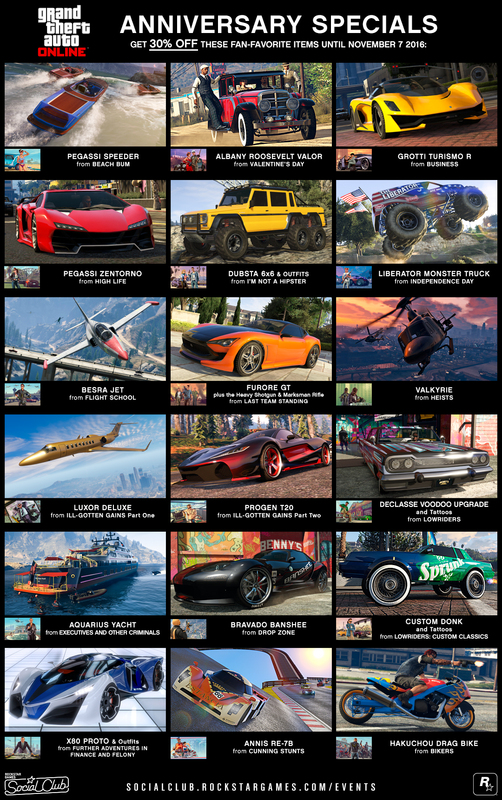 This is because players will also be getting a whopping $250,000 to spend in the game, plus many fan-favourite items including vehicles (see below) will be getting a 30 % discount and be purchasable without meeting other requirements until November 7, which is something that will undoubtedly please those fond of virtual property. There’s also a new game mode named “Lost vs Damned” which pits two groups of players against each other. One side will be the Angels and the other the Devils, and what’s interesting about this mode is that the Angels will gain bonuses during daylight, while the Devils gain an advantage during the night (there will be a 60 second day / night cycle). Rockstar’s Halloween treat for GTA Online players will likely please fans of this multiplayer online game, even if some may be disappointed by the fact that there’s no news yet of any single player DLC for GTA V. But still, GTA Online has been a wild success that’s undoubtedly a ton of fun to play, and looks likely to keep giving GTA fans a good time well into the future.